If you have been dreaming of a wedding in Tuscany my advice is to pick the Siena region as your destination. Not only is Siena an enchanting city, full of history and character, but the area surrounding it is also stunning. Whenever I had site inspection trips in the area I always found myself taking the scenic route and driving in a dream-like state up and down the rounded hills. Trust me, it’s an incredible experience. This area is also packed with natural spa sites, from Bagno Vignoni with its square mineral pool right in the centre of the village (and the stunning Adler Thermae hotel just outside of town) to Sarteano with its chilled pools perfect to sooth your skin from the summer heat, and then San Casciano dei Bagni from whose pools you can view the Umbria hills. Planning a wedding in the Siena area can be a feast for the senses. This part of Tuscany offers an incredible selection of venues, so you could have a castle wedding, exclusively renting out a whole property for your family and friends, or you could plan an elegant villa wedding, complete with roses arrangements and string quartets. Or maybe you prefer me to arrange a rustic chic wedding in one of the lovingly refurbished farm houses that litter the countryside. 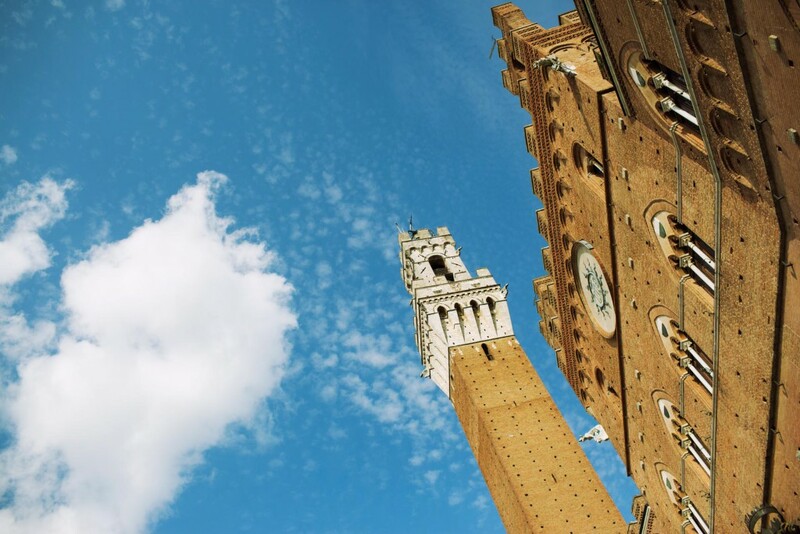 Whatever the scope of your project, I’m sure Siena and its surroundings can fulfill your dreams. Does the Siena area sound like your ideal wedding destination? Let my friend and colleague Ilaria help you plan your very own wedding in Siena.